Contracts are the lifeblood of business from lease agreements and product purchases to service agreements. 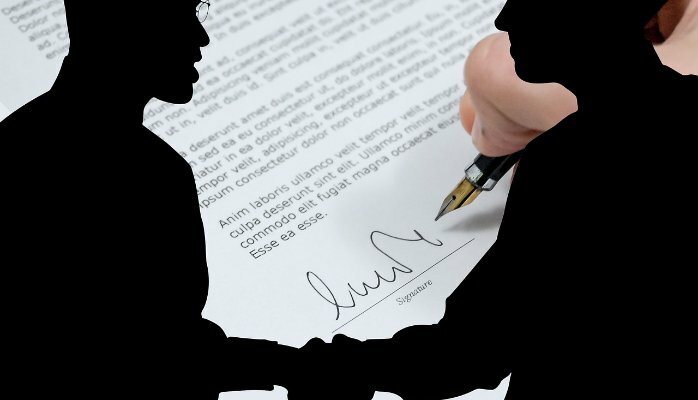 Contracts govern nearly all business-to-business transactions and a bad contract can cost you money and put your business at risk; conversely a well-drafted contract can be your saving grace in the event of a dispute. Payment Terms: For most business owners this is the most important term in every contract. When reviewing your payment terms pay close attention to when payment is due and any penalties associated with late payments as they may increase the amounts owed. Also take note of any conditions to receiving payment, such as special billing forms, waivers, or other documentation required to secure payment. Warranties: The warranty provisions govern the level of performance you should expect from a certain service and what the protocol is if the product or service does not perform as it should or is defective. Know the length of your warranty, whether or not it is consistent with state law minimums, and the scope of the coverage the warranty provides. Termination Clauses: Termination clauses may have very specific procedures for terminating a contract. For example, the business that is required to perform may have an opportunity to cure the problem, or may require written notice of the intent to terminate within a specific timeframe. By failing to follow the procedure detailed in the contract, you may find yourself in breach of the contract and subject to additional penalties, or worse, stuck in a contract longer than you would like. Indemnification: This is the most loved and hated word in all of contracts, depending on which side of provision you are on. The indemnification provision is the clause that governs who you may have to defend or hold harmless in the event of a dispute or claim. Be mindful of how far your indemnification obligation extends, and to what type of claims, costs, fees, and expenses this obligation includes. Carefully note whether the indemnification obligation extends beyond your direct contractual relationship and whether or not the indemnification provision covers personal injury, products liability, property damage, or patent infringement. Additionally, confirm whether or not your indemnification obligation includes attorney’s fees and other litigation expenses. Lastly, all contracts are negotiable. The first step is to understand the basic principles behind the provisions and to be knowledgeable regarding modifications and their effects on your business. Hiring an attorney to review your organization’s contracts is essential to ensuring each aspect of the contract is properly addressed. Specific contract terms and conditions are vital if a dispute arises after a contract has been implemented. If you are not familiar with proper steps to take in creating, negotiating, and signing contracts contact a legal professional to assist your organization. About author: Asha Wilkerson, Esq. Asha Wilkerson is the founder of The Wilkerson Law Office, P.C. Ms. Wilkerson provides skilled advice and counsel to for-profit, non-profit, and faith-based organizations in the areas of business and employment law. Her mission is to preserve the longevity of your business by ensuring that every aspect of your organization is legally sound and operating in compliance with state and federal law. Ask Asha! Episode 009: Employment Agreement or Contract, What’s the Difference?